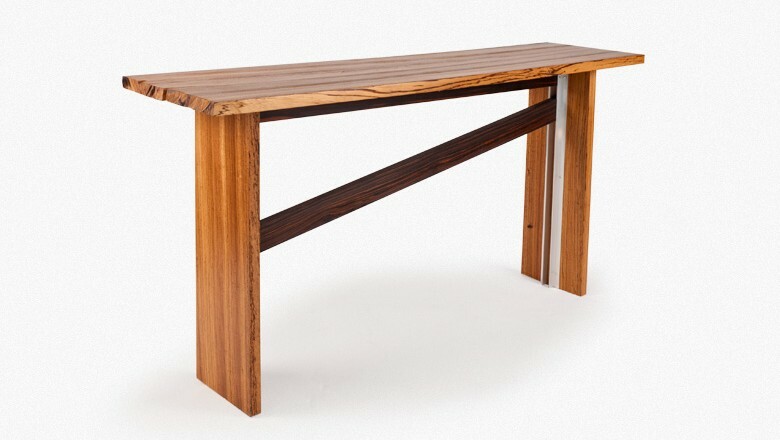 Please contact ben@studio8169.com for pricing information. 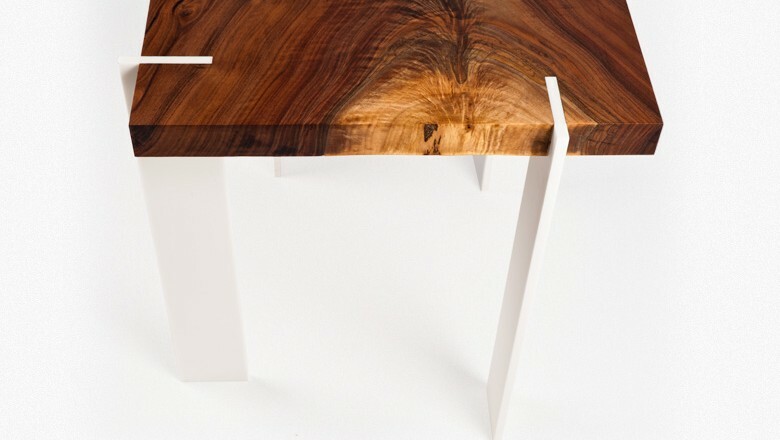 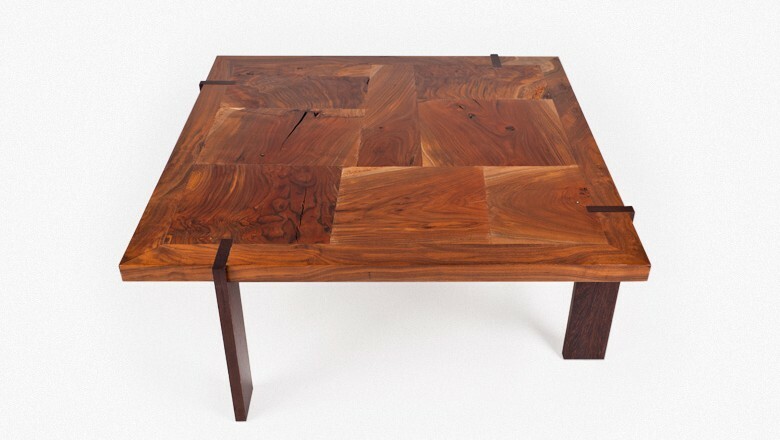 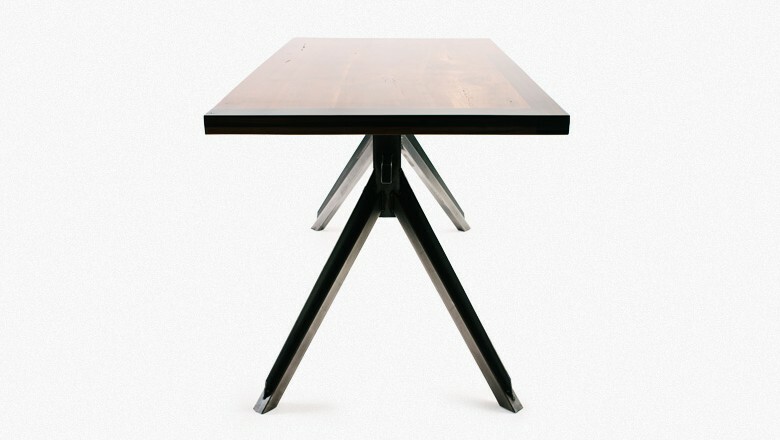 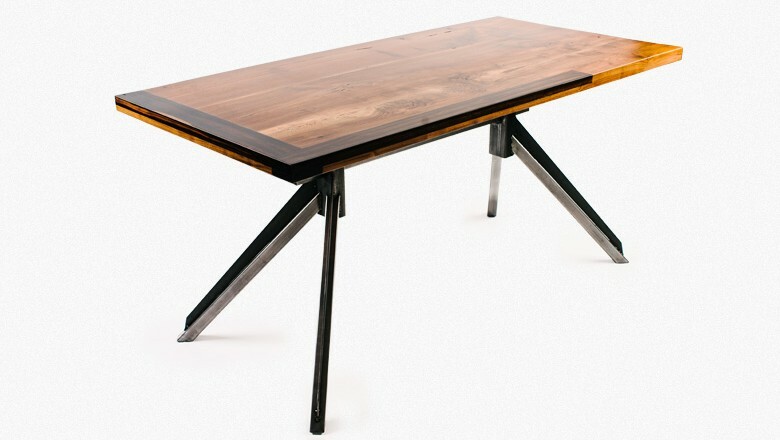 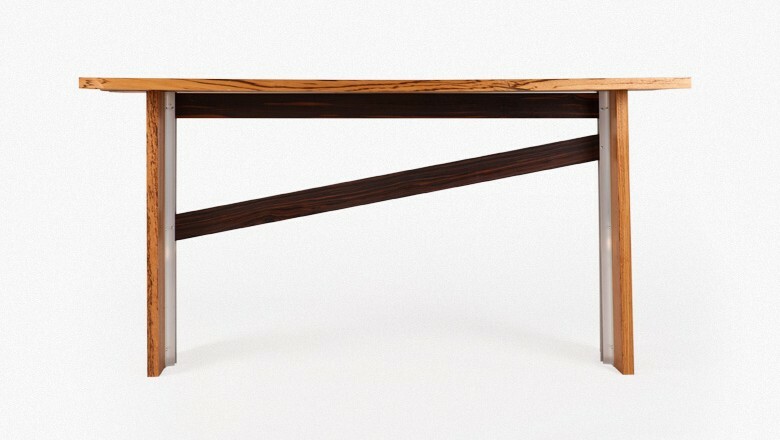 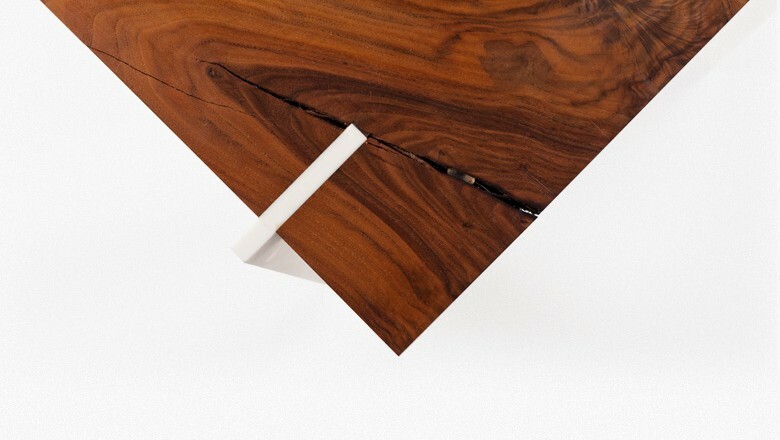 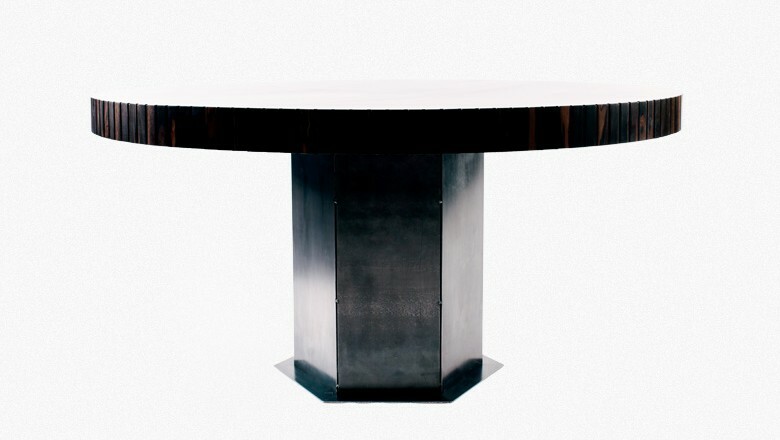 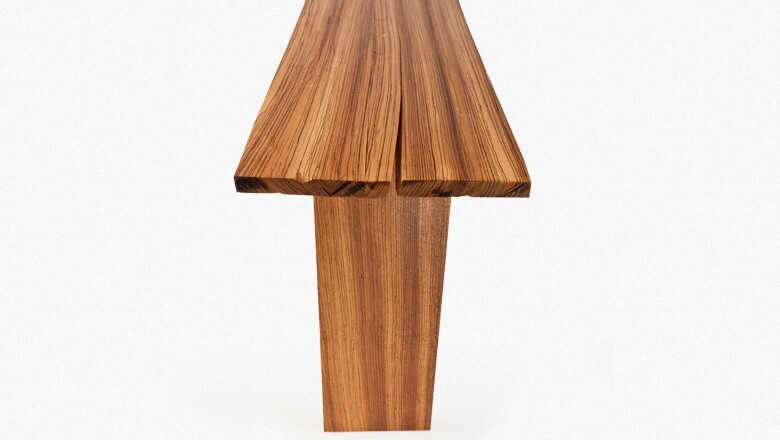 This table has a 2″ thick solid California Walnut and Ebony top with contemporary custom designed steel legs. 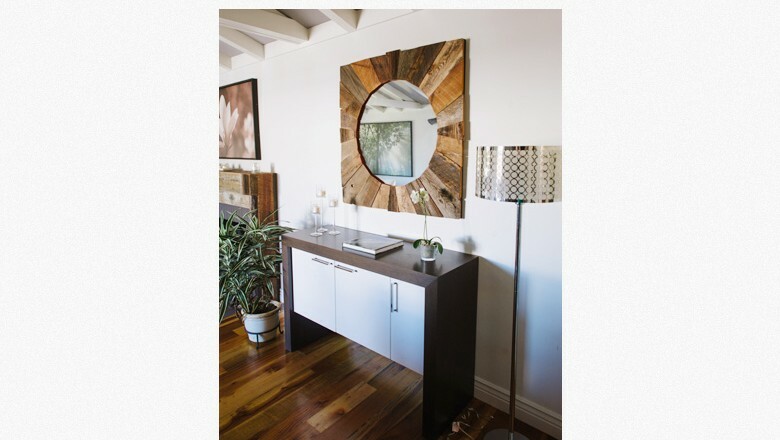 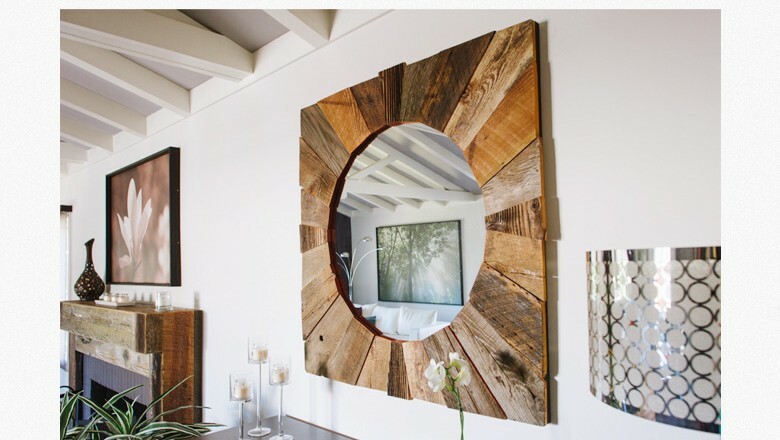 This mirror is made from reclaimed barn wood pieces with alternating depths. 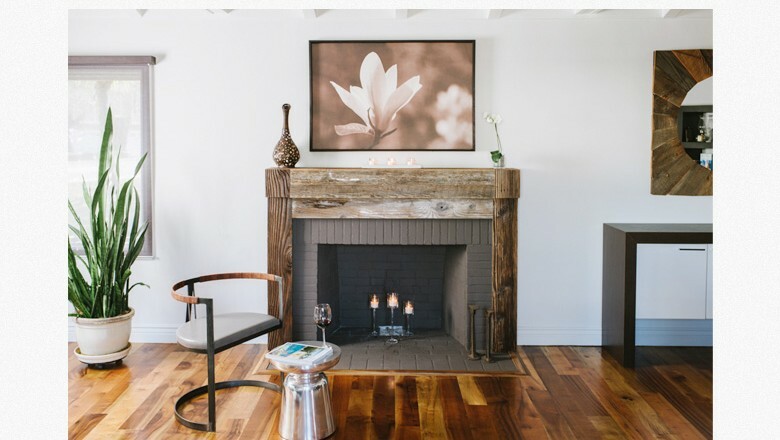 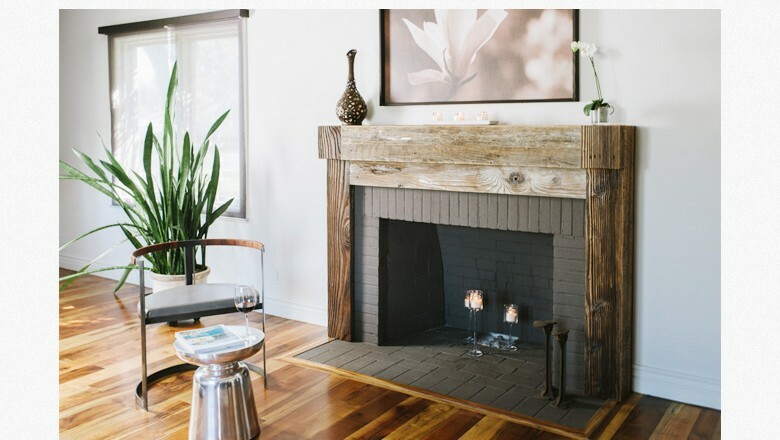 Fireplace mantle made from reclaimed barn wood. 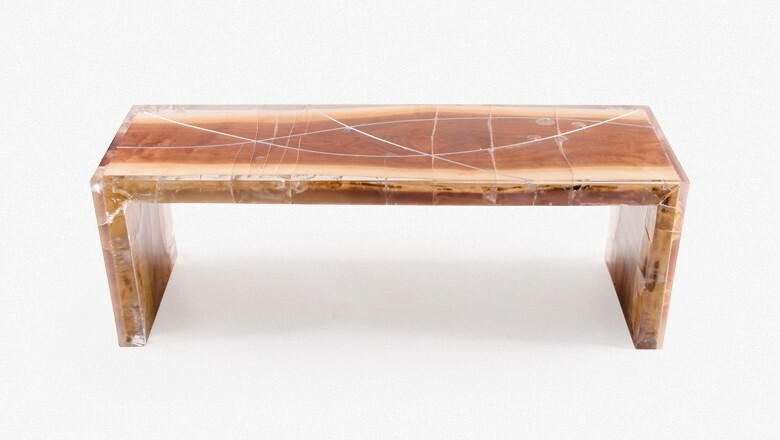 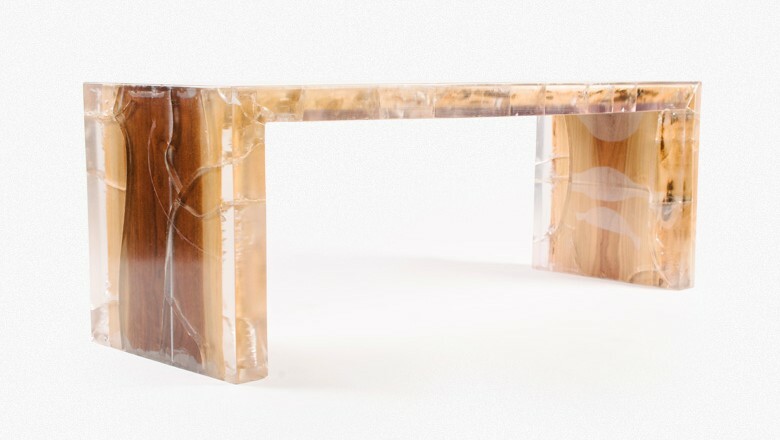 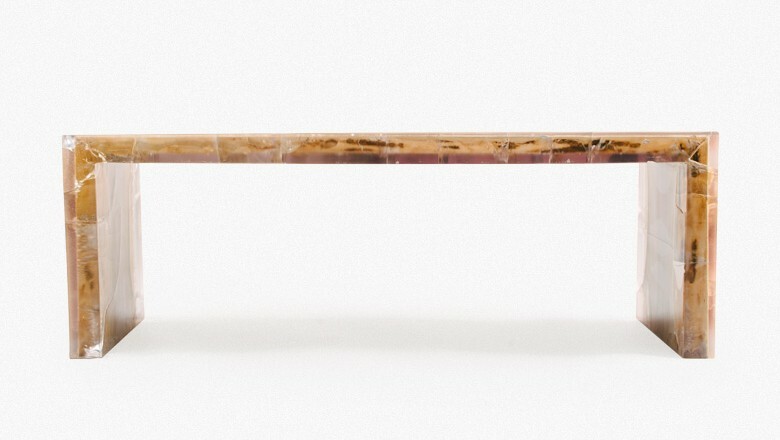 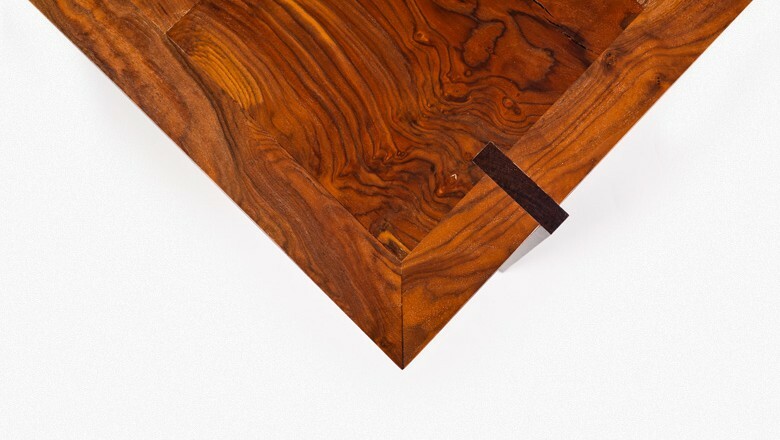 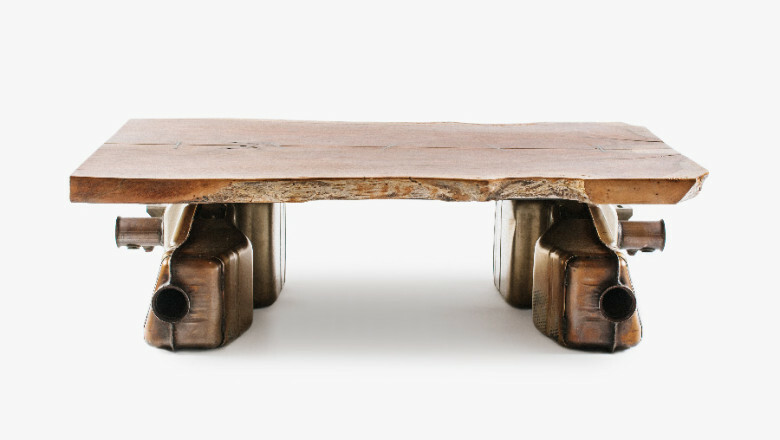 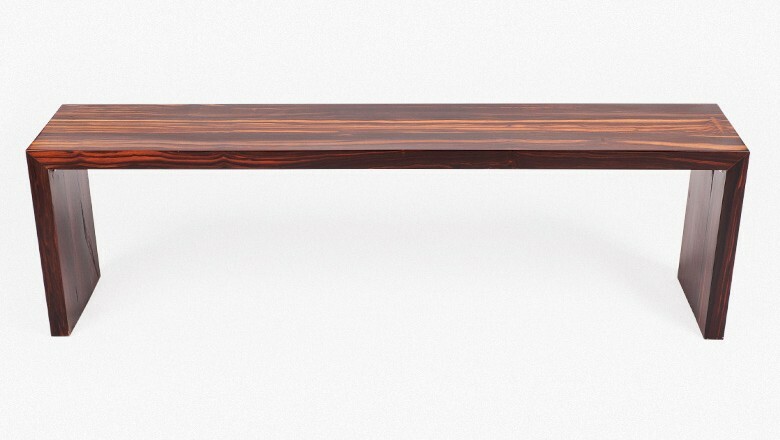 This bench is made from American Walnut slabs cast in resin. 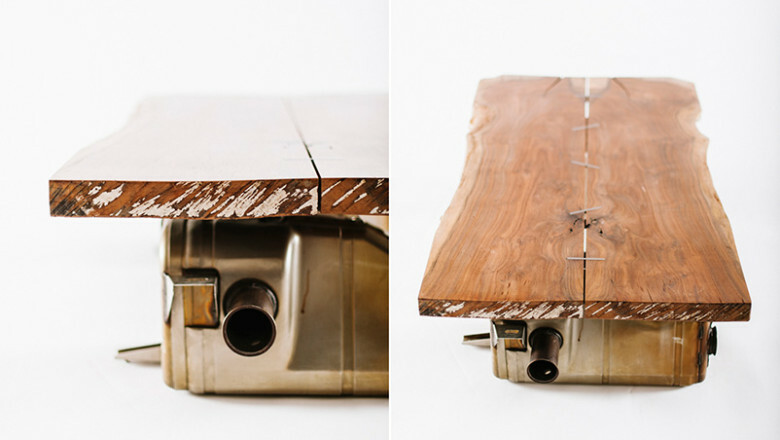 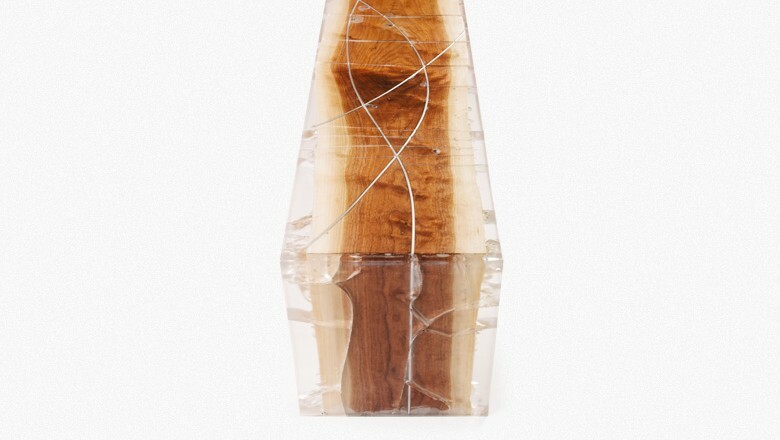 Aluminum inserts are carved in a freeform design within the wood. 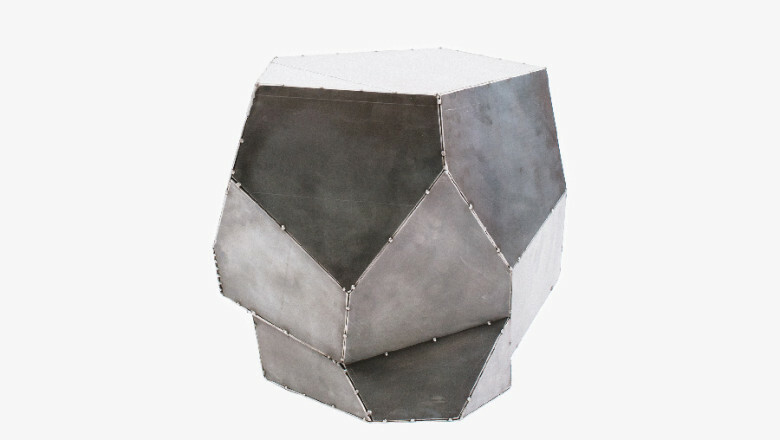 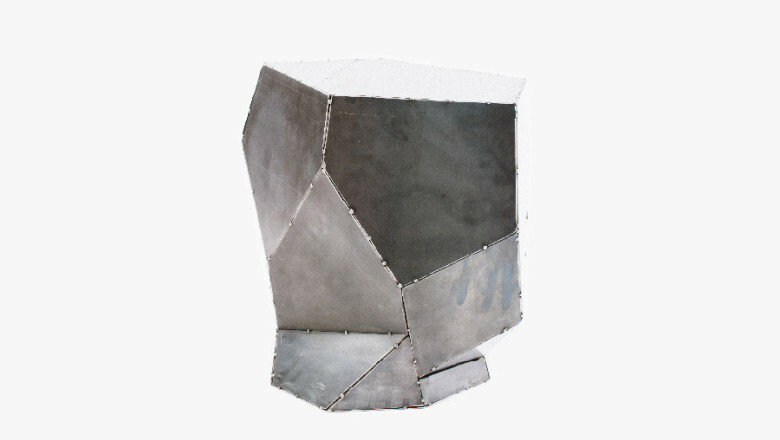 This massive piece weighs more than 100 lbs. 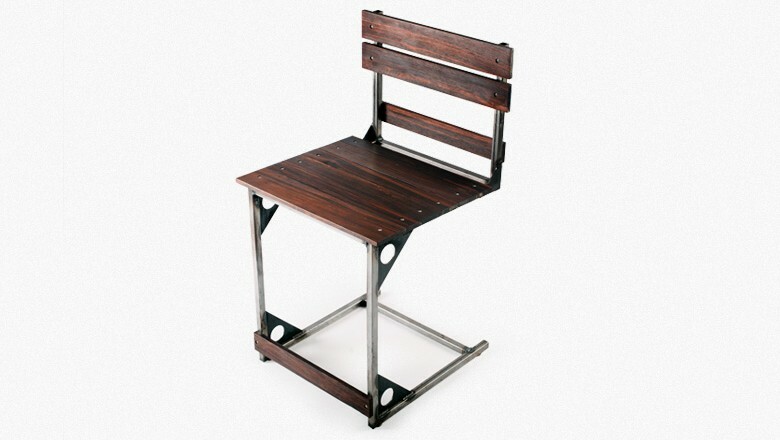 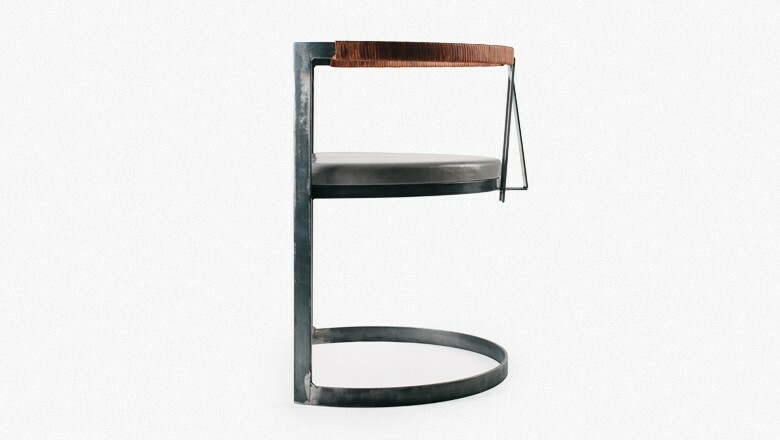 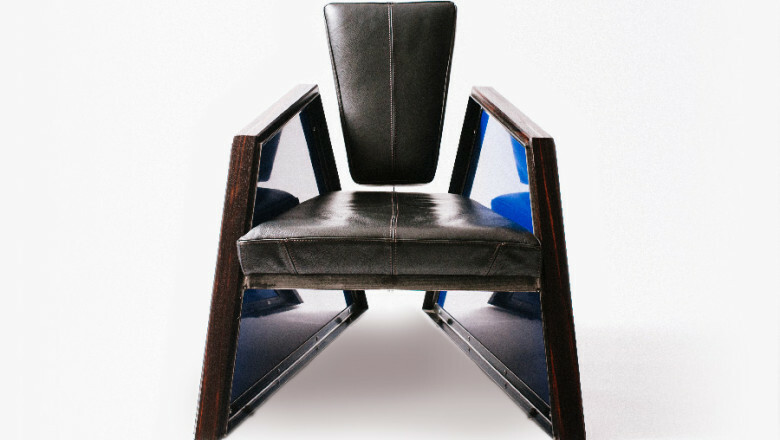 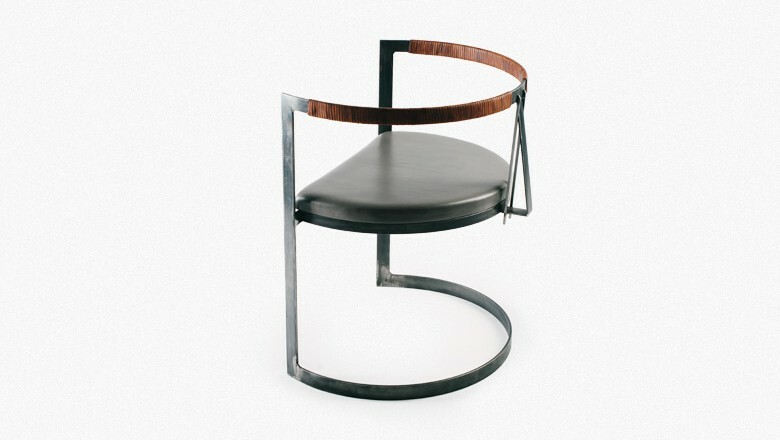 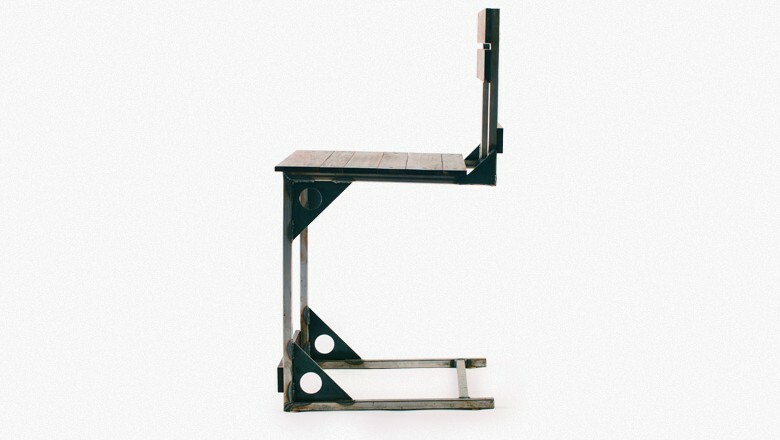 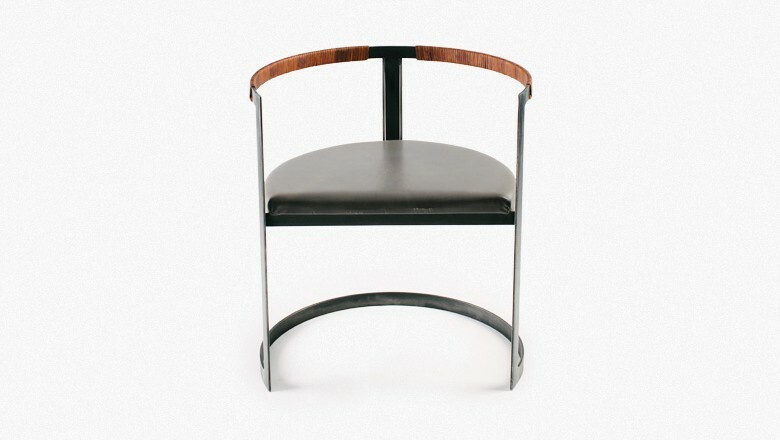 This chair features a frame made from quarter inch steel wrapped with a leather strap accent. 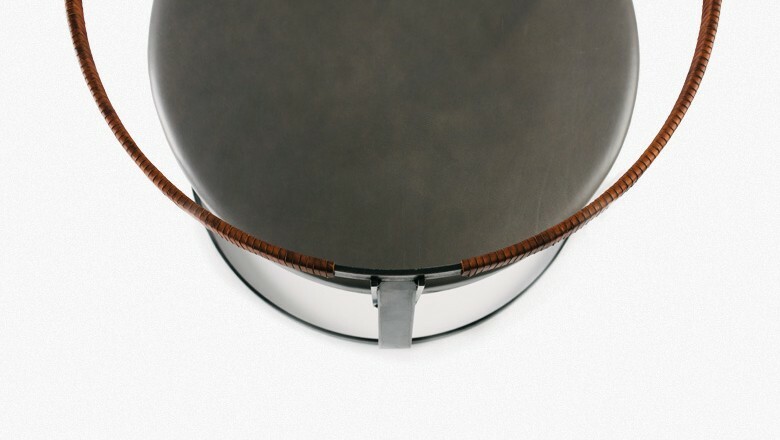 The seat is wrapped in grey leather. 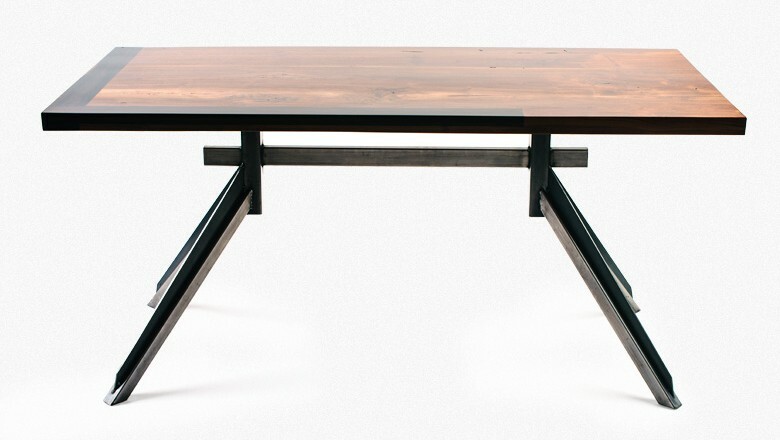 This unique table features 74 slats of pure ebony on the top and a hexagonal base made from quarter inch blue steel. 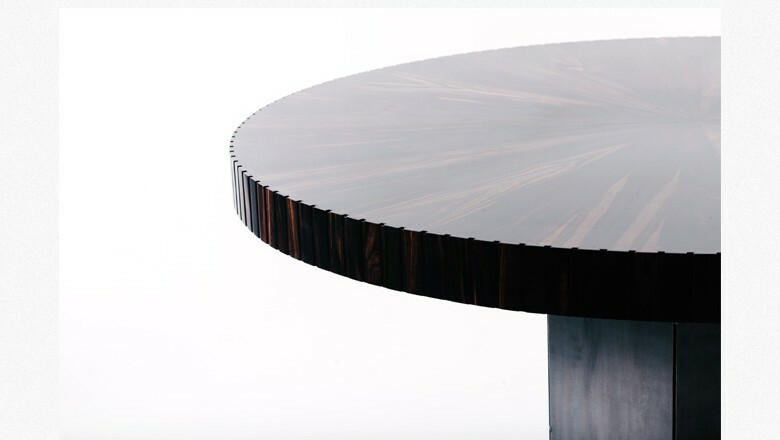 The top of the table is fitted with 270 ebony slats spaced around the edge of the table. 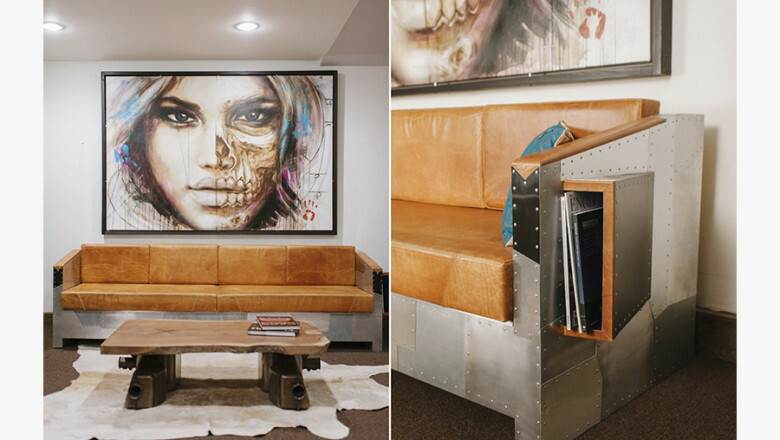 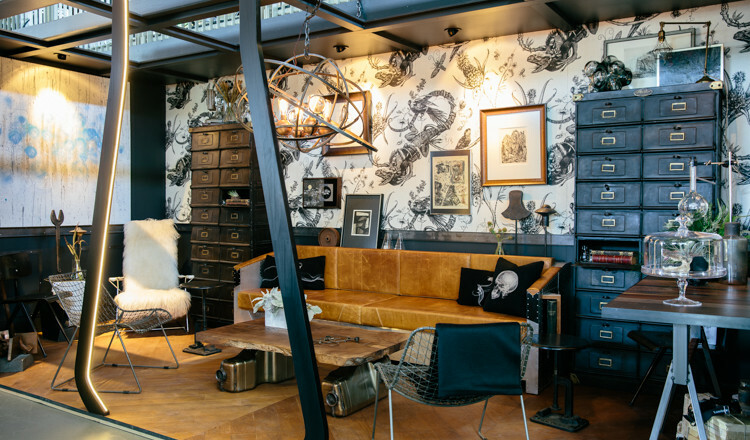 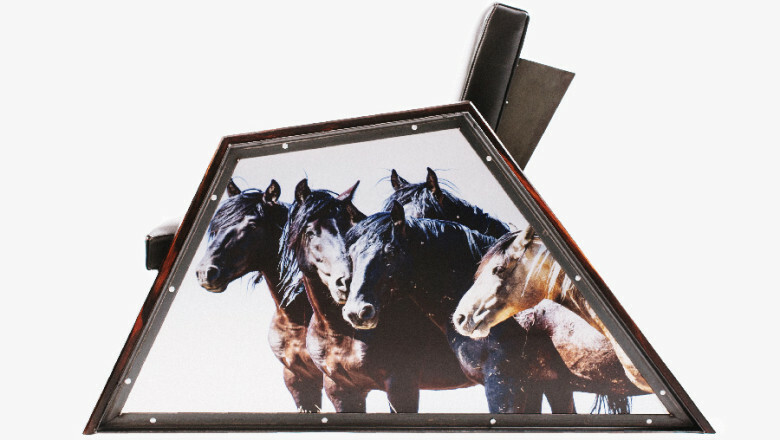 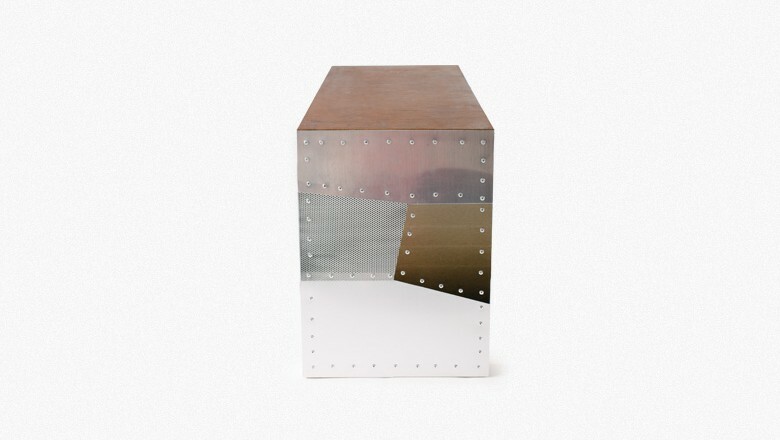 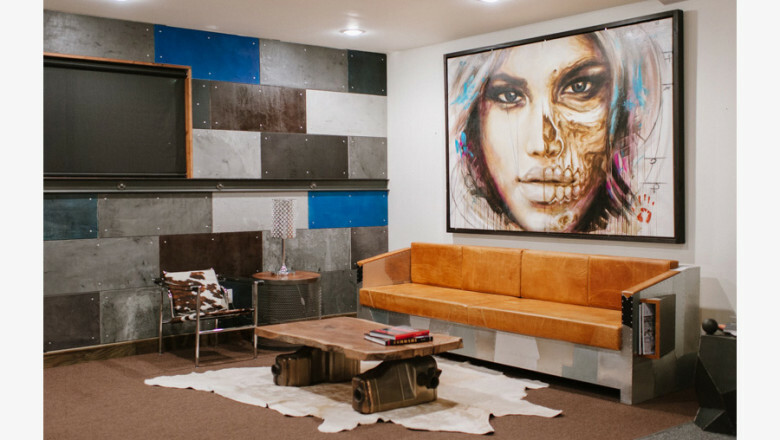 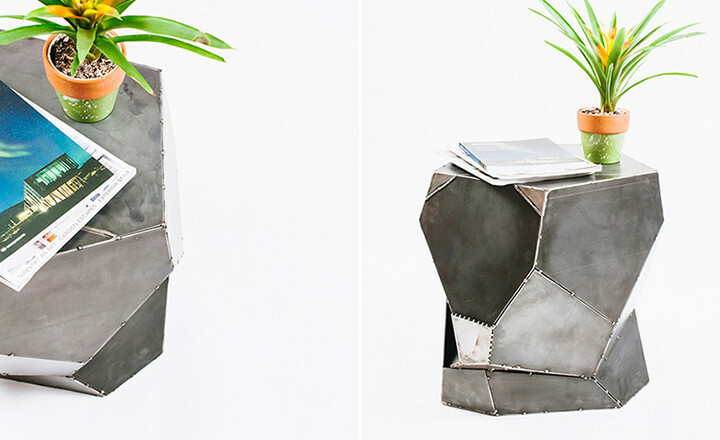 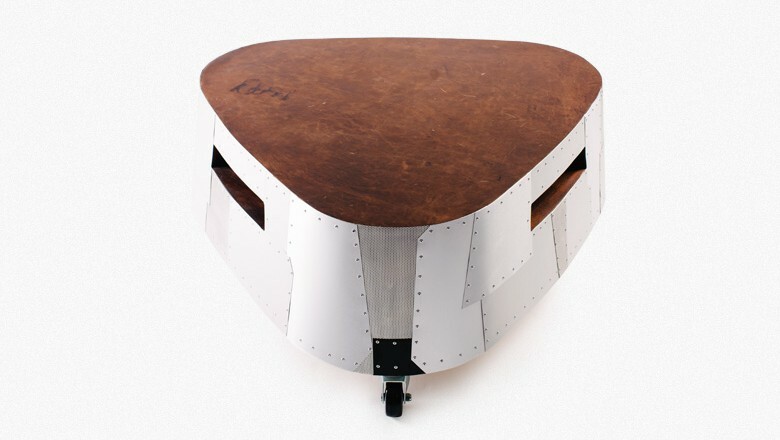 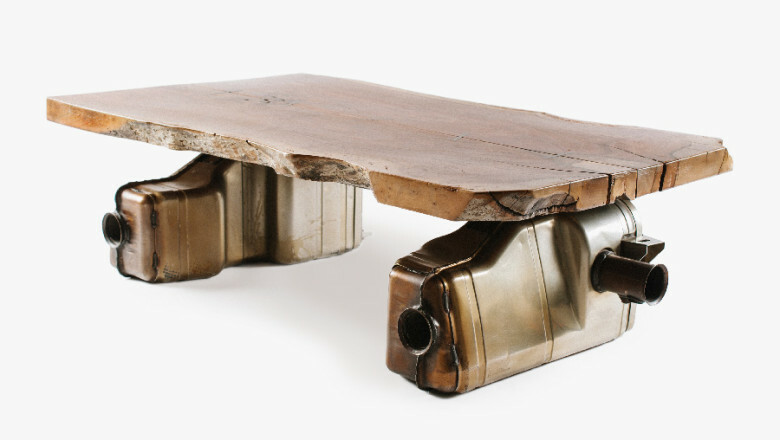 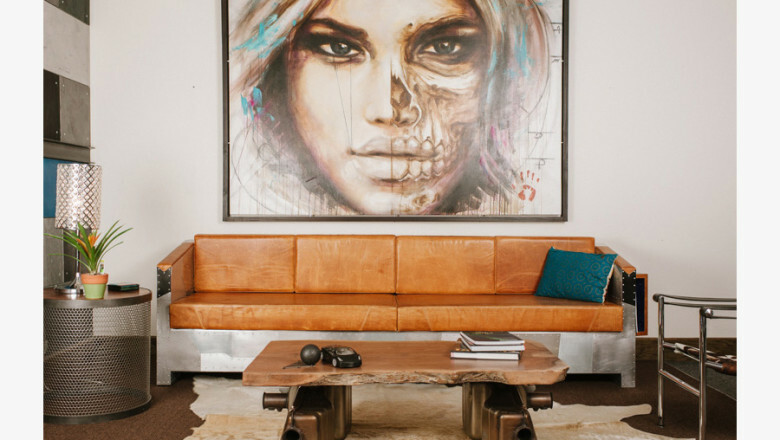 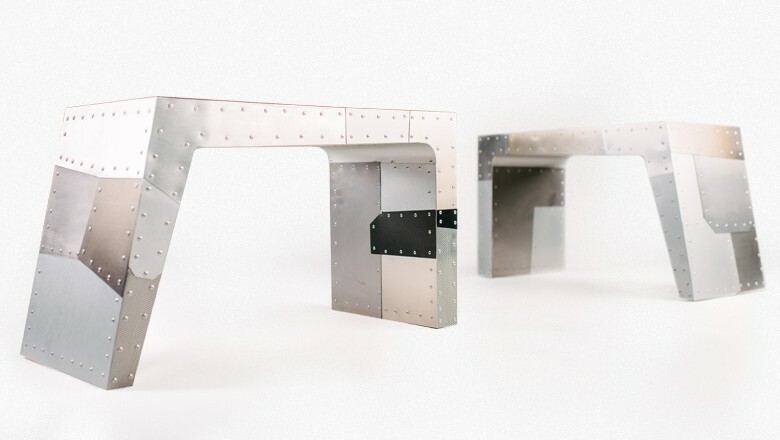 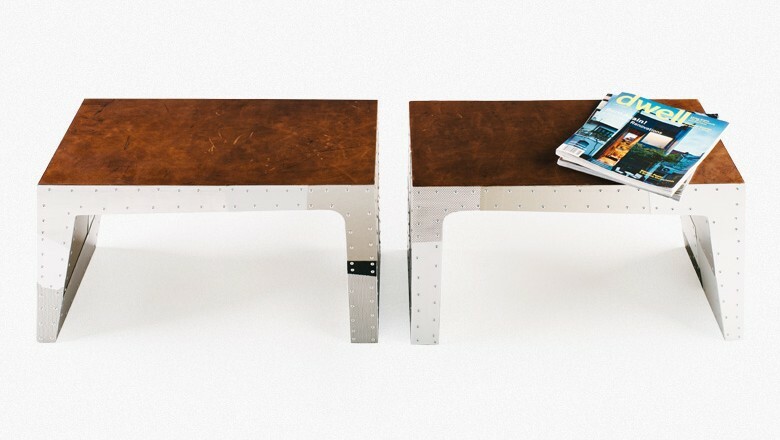 These twin benches feature riveted aluminum sides and cowhide tops. 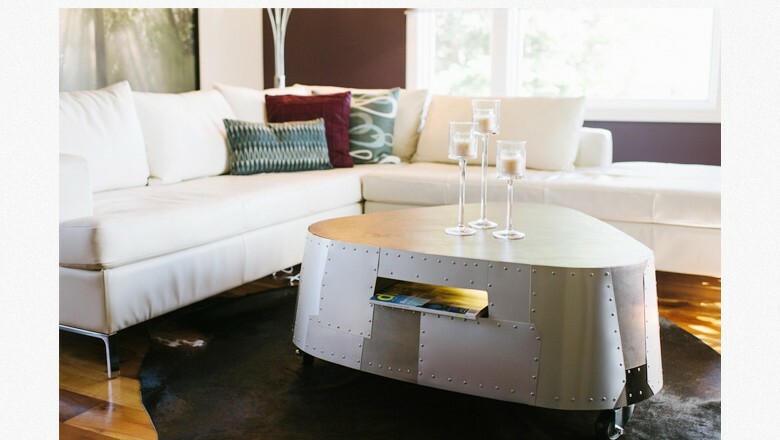 They can be used together or separately for seating or as unique side or coffee tables. 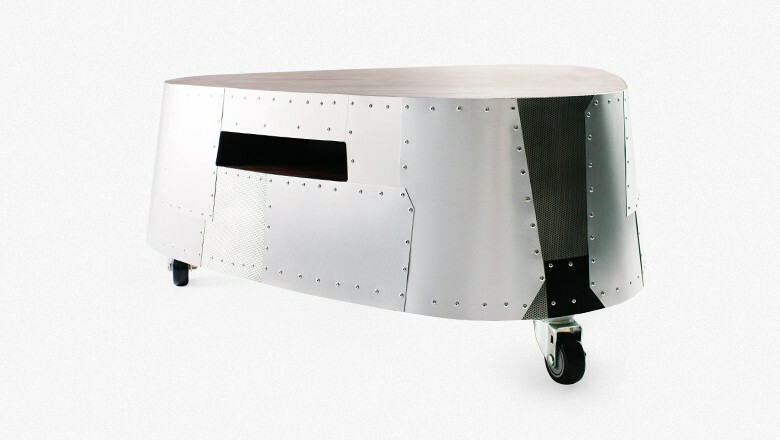 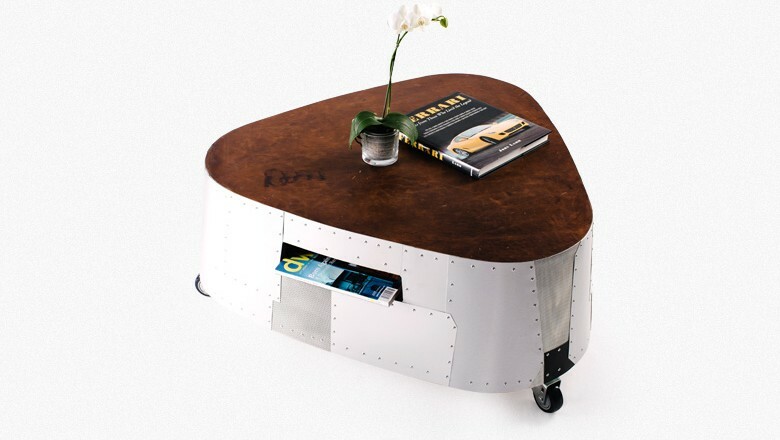 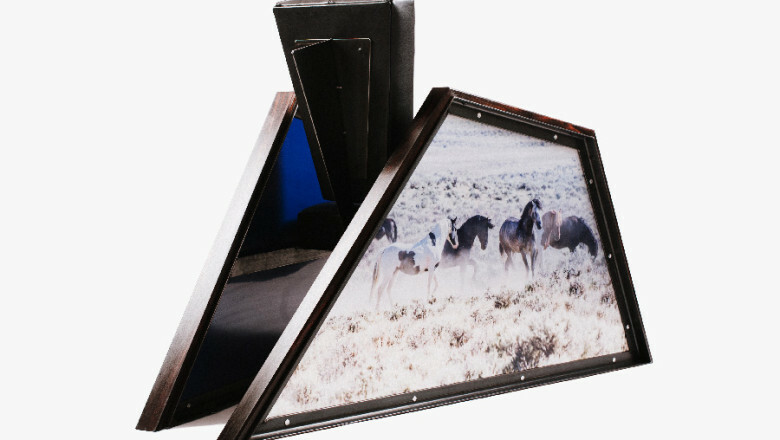 This unique three-sided coffee table has riveted aluminum sides with insets for books or magazines that are lit from within by LED lighting. 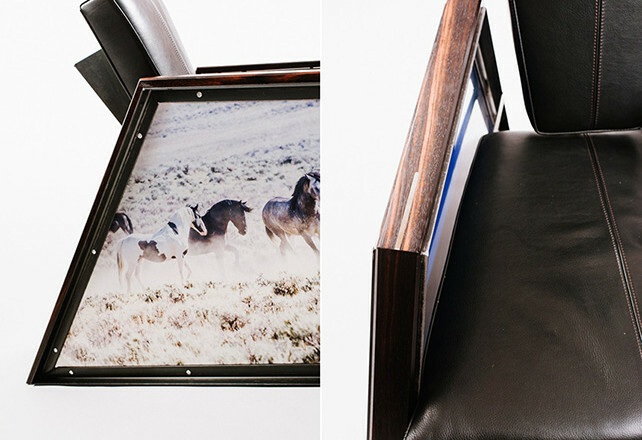 The top is genuine cowhide complete with original brand. 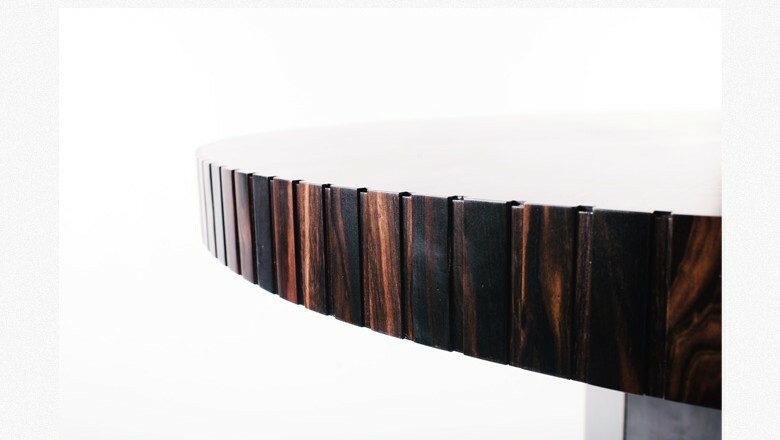 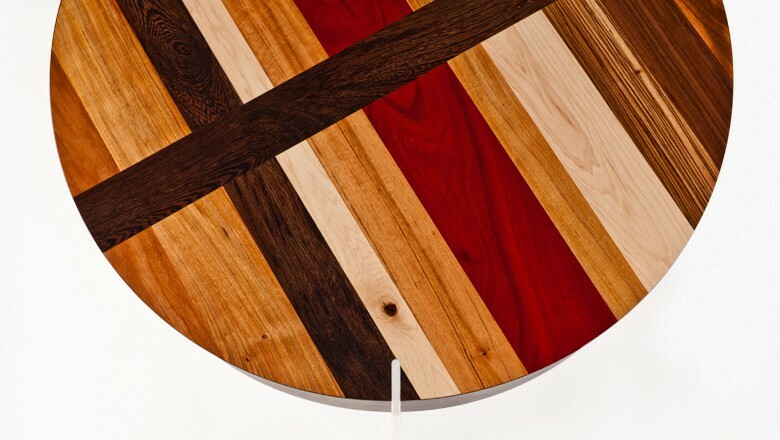 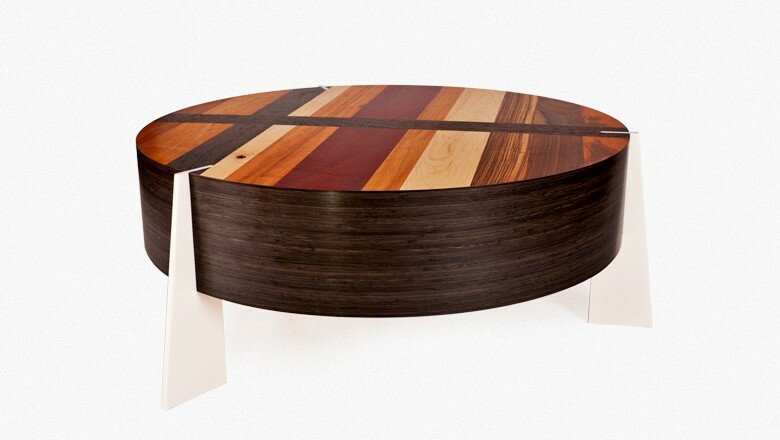 This cylindrical coffee table has a top made from Wenge, Padouk, Zebrawood, Claro-Walnut and Afrormosia woods. 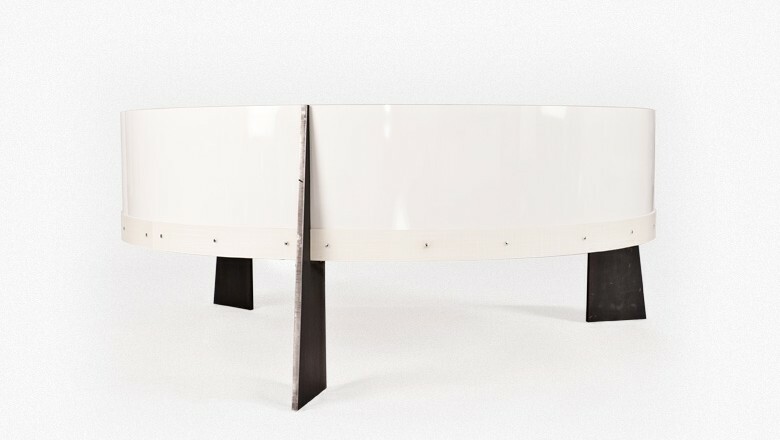 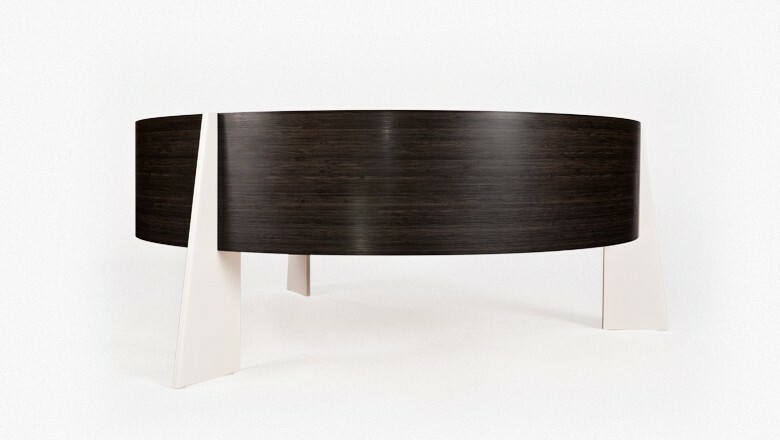 The sides are Asian night laminate and the three wedge shaped legs are made of Corian. 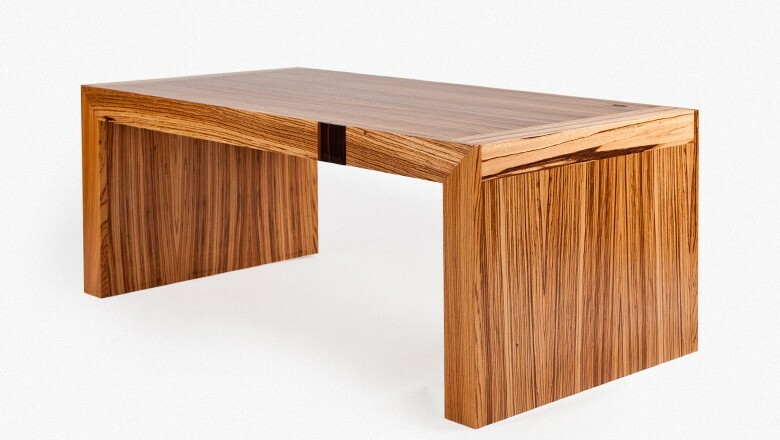 This streamlined bench is made from solid Zebrawood with Zebrawood veneer and a Macassar Ebony accent. 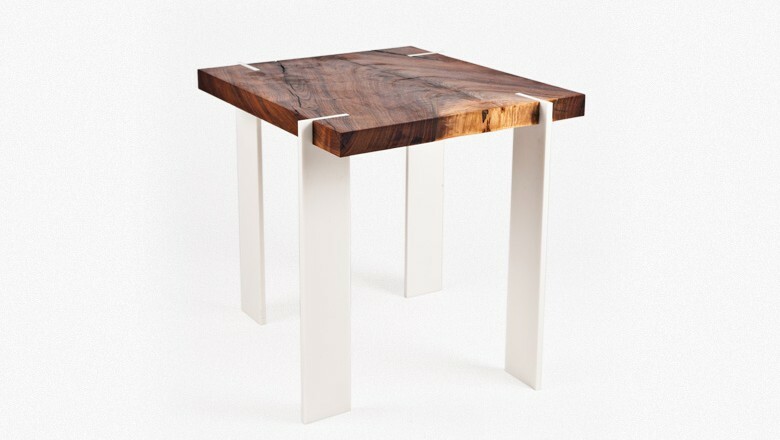 This modern end table features a two inch solid top of California Walnut with recycled Corian legs. 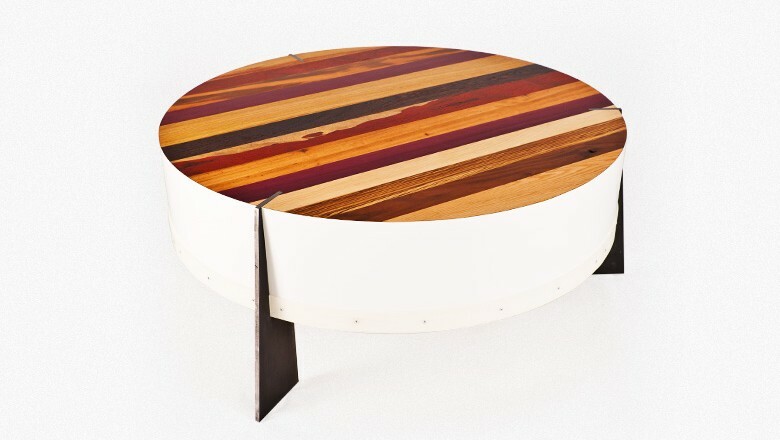 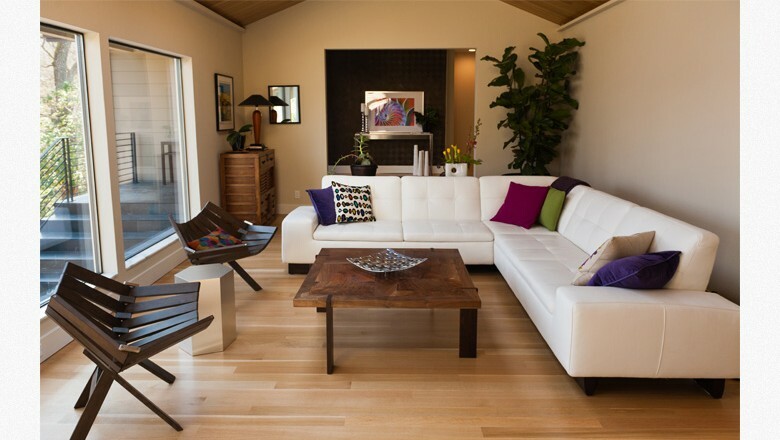 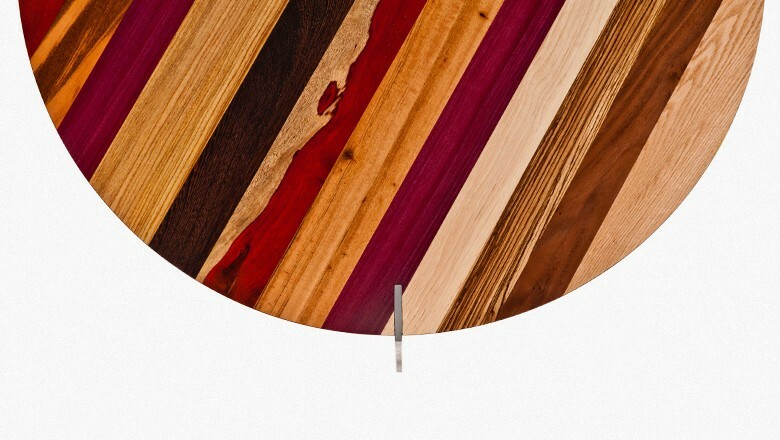 This cylindrical coffee table has a top of Purple Heart, Tigerwood, Canarywood, Wenge, and Padouk woods with a glossy white laminate side and black steel wedge shaped legs. 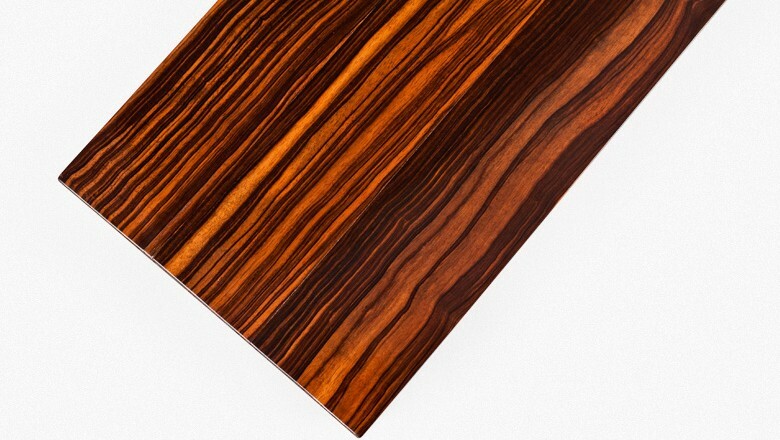 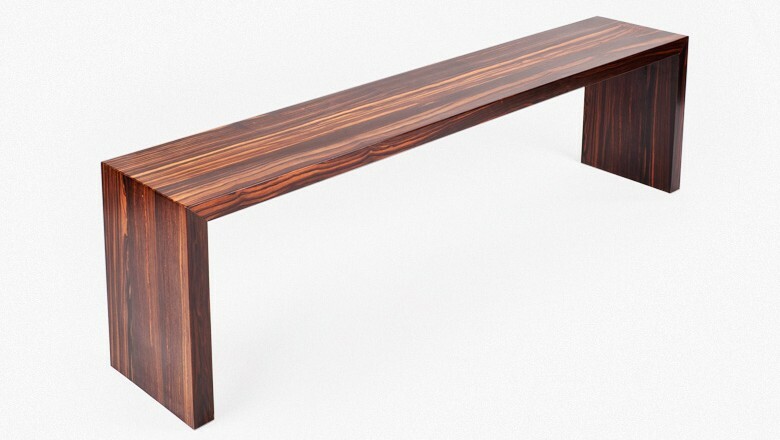 This bench has eight quarter solid Macassar ebony with a conversion varnish finish. 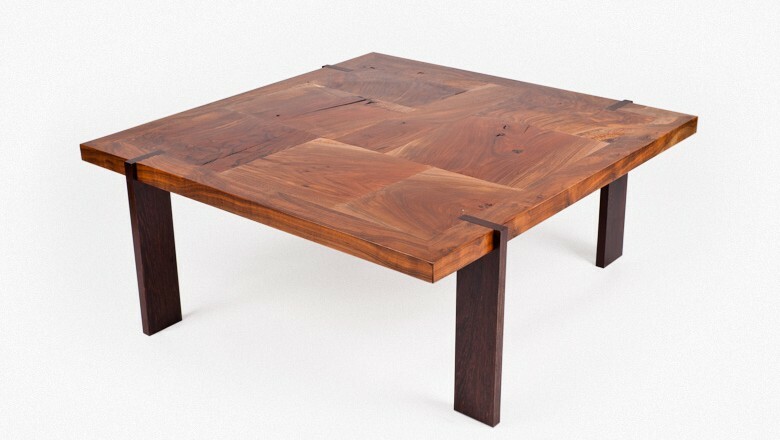 This coffee table is made from an 8 quarter solid block of California Walnut wood with 1 inch Wenge legs. 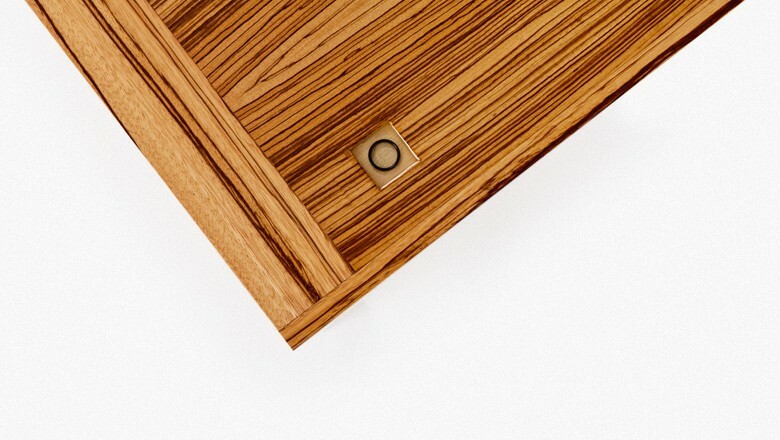 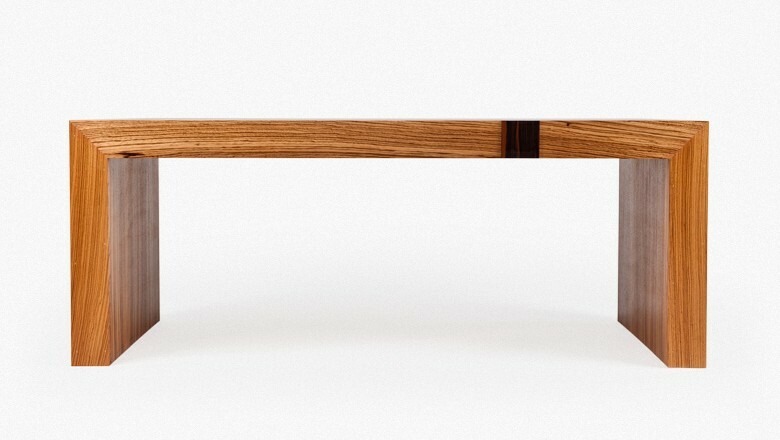 This console features a piece of solid freeform Zebrawood with Macassar Ebony crossbars fastened to aluminum channels.